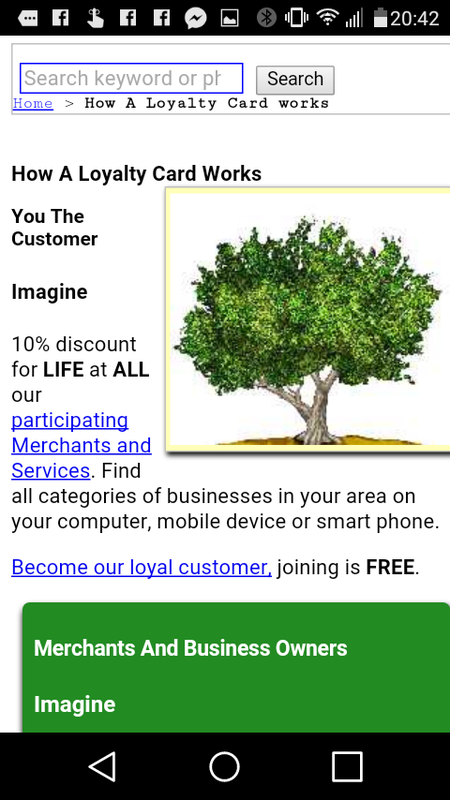 Get the A Loyalty Card app at the Google Play Store and take ALC where ever you go! Find ways to save quicker than ever! A Loyalty Card is a money saving program. 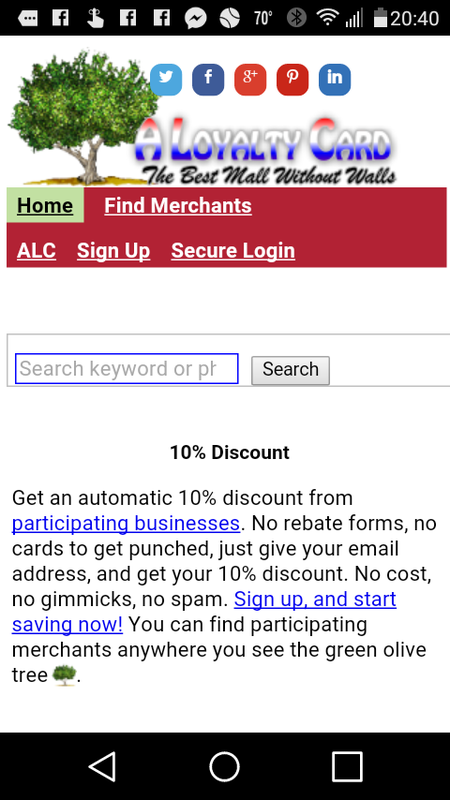 Participating merchants give you a 10% discount on your purchases. You don't need to carry books, or cards, or have anything stamped. The only thing you need is your email address and a participating merchant. 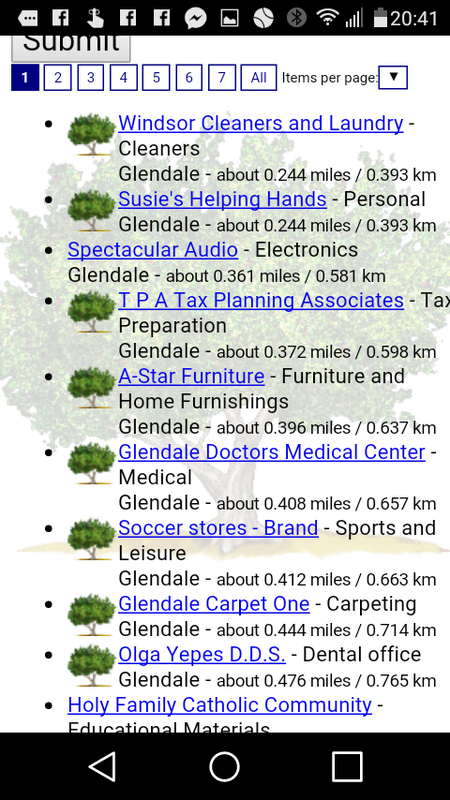 Use the app to find local participating merchants in your area and start saving money today. A Loyalty Card is your way to find local participating businesses where you can save money all the time. You don't have to wait for a sale, the 10% discount is automatic.Become a member of the A Loyalty Card family and start getting 10% discount from any and all participating merchants. Our merchants are primarily located in Southern California, but A Loyalty Card is constantly growing, and appreciates customers telling us about their favorite store. A Loyalty Card does not sell anything on the app nor does it sell anything on its website.